We are ‘GOING BIG’ this year, expanding our Rhubarb Festival Book Sale to include MORE BOOKS, as well as ART OF ALL KINDS! This expanded effort is designed to RAISE MORE MONEY to benefit the library by BUILDING NEW LIBRARY SHELVING in our new Fellowship … read more. 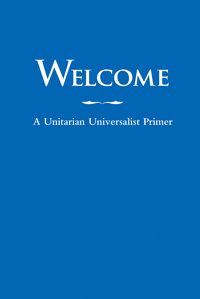 General Assembly is an unforgettable experience for the thousands of Unitarian Universalists that attend each June. Attendees leave with a renewed sense of energy, inspiration, and innovative ideas to take back to their congregations and communities. GA is even more enjoyable if experienced with a … read more. Delegates at the 2018 General Assembly in Kansas City, MO, selected “Undoing Intersectional White Supremacy” to be the 2018-2022 Congregational Study/Action Issue (CSAI) of the Unitarian Universalist Association (UUA) of Congregations. The Congregational Study/Action Issue is an invitation for congregations to take a topic of … read more. On August 14 the CVUUS Board voted to invest in Acorn Energy Coop’s AES2 community solar project, whose 612 photovoltaic panels will feed 150 kilowatts peak power into the electric grid. If all goes as planned, AES2 should start producing power this fall. Addison Allies could use more volunteer drivers for growing ride requests, especially to night health appointments and groups at Open Door Clinic and classes at Adult Learning. Contact vciambra@gmail.com. More below. In response to recent deportations of Addison County farm workers and separation of families, many … read more. CVUUS hosts community lunch at the Charter House. Consider joining the Charter House community lunch team for CVUUS! Your involvement can be what works best for you. Maybe be on a call list for preparing a dish occasionally, or making sandwiches on site for the … read more. Sunday, Dec 16, Remembering Victims of Gun Violence, 11:30 pm—Communities all across the country will be holding memorials this month because December 14th is the 6th anniversary of the Sandy Hook tragedy. This year we will light candles for them and others, and say the … read more. The #Metoo movement has been so powerful and has helped many survivors to find their voice, as shared in recent worship services and events. This also comes with a need for support, both for survivors speaking, and for those supporting and listening. WomenSafe is here … read more. Our Youth Group, led by Heidi Sulis and Gail Borden, dedicates this year to homelessness support again. As last year, they will visit and plan several meals at John Graham Shelter in Vergennes. Abi Sessions and our Youth Group camped out at the annual Homelessness … read more. At junction of Rt 17/116 take Burpee Rd north. Left on Monkton. Straight at 3-way stop. Left at Y onto Davis Rd. Orchard on left.